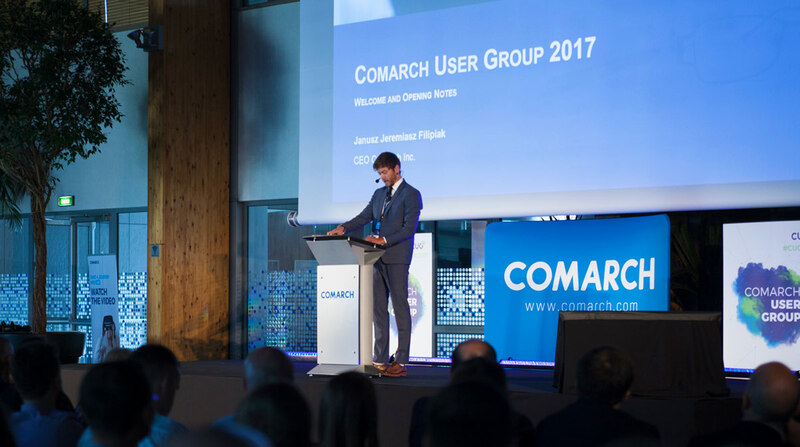 The Comarch User Group event was organized this year by our telco, services and finance sectors, along with the FSM business unit. The themes for 2017 were business models in the telecoms industry, managing financial products and services, and Internet of Things solutions for smart cities and e-health. Jerry Filipiak opened the event, delivering a speech on location-based services – the foundation for innovation that will touch upon aspects of life such as managing urban planning, monitoring energy use, search and rescue operations, or even finding your car in a parking lot. 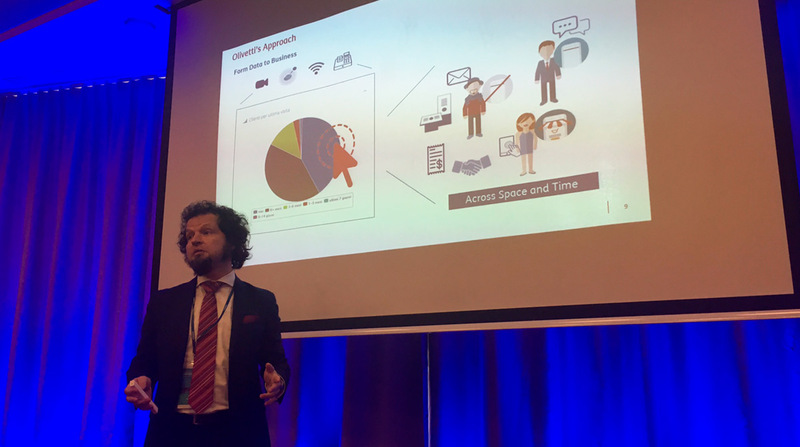 Next up was the services sector’s Piotr Kozłowski, who expanded on the LBS theme with a look at how technology can be used to develop smart cities and retail loyalty programs that focus offers precisely on customers – even as they are walking by a shopfront. From the finance sector, Tomasz Marszał brought security into the mix – showing that solutions in this field need to be convenient and operable. Apple have embraced this philosophy with their log-in synergy between their smart watches and Macbooks, while banks are using tPro ECC USB tokens to combine maximum security with access at the push of a button. Also on day one, Wojtek Dziunikowski gave delegates a presentation on the importance of creating great customer experience, before Juan Pablo Yarur Aranaz from our Madrid financial services office closed proceedings by exploring the future of artificial intelligence and how it might radically change the way everyone works. Day two of the 2017 CUG event focused on individual sector streams. 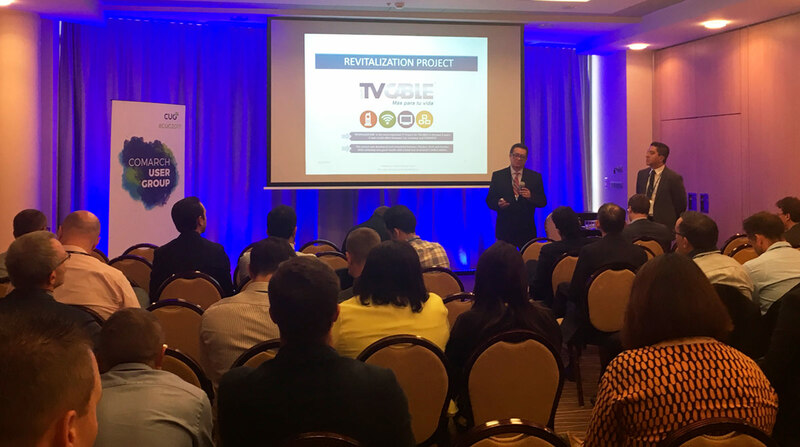 The CRM solutions stream proved most popular, and included case studies from Cebu Pacific, Norwegian Airlines, Enterprise Holdings, Japan GreenStamp, Imperial Tobacco Canada and Hudson’s Bay Netherlands. In the telco stream, Telecom Italia’s Ugo Davide Miletto spoke on IoT for hospitals, public transport, retail and more. 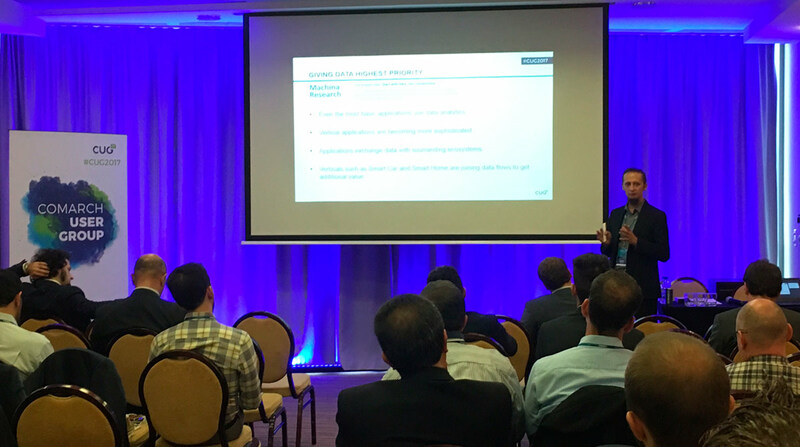 Comarch’s Wojciech Martyniak then showed delegates how to monetize data from IoT analytics. With its broad focus on transformation, there was ample scope in this stream for discussions on OSS/BSS, with Walleed Alrehaili explaining cooperation between Comarch and the Saudi Telecom Company. 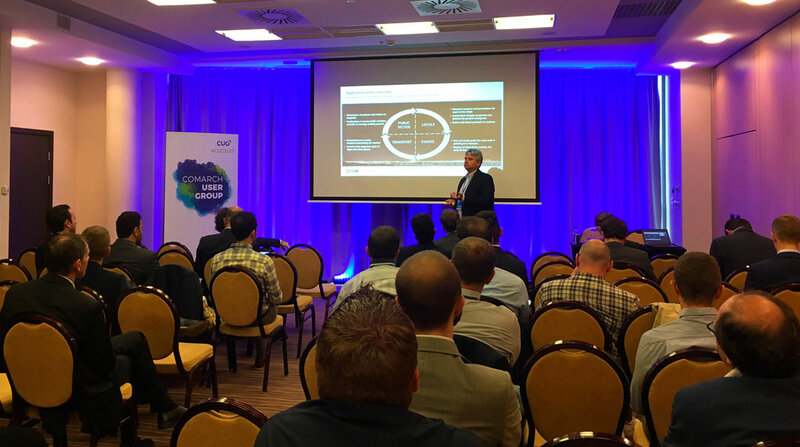 Further presentations were delivered by Maciej Piechociński (SDN/PCE), Igor Wadowski (IT transformation at Medialaan), and Paweł Płaszczyca (NFV/SDN for 5G services), Olivetti’s Marco Marchesi (IoT monetization) and Fernando Carrillo (TVCable). In the meantime, Abdullah Abu Tufaha from Etisalat and Comarch’s Szymon Uczciwek led the FSM stream. 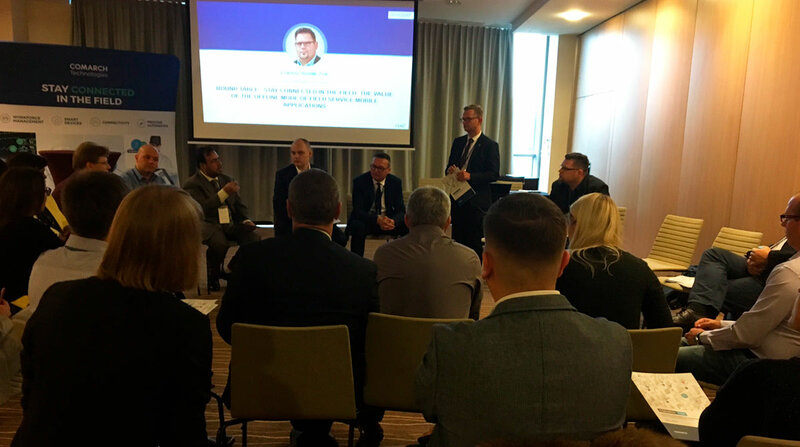 They were joined by Łukasz Adamczyk, who gave a live demonstration of real-time scheduling, before delegates were presented with the FSM trends and Comarch Roadmap. 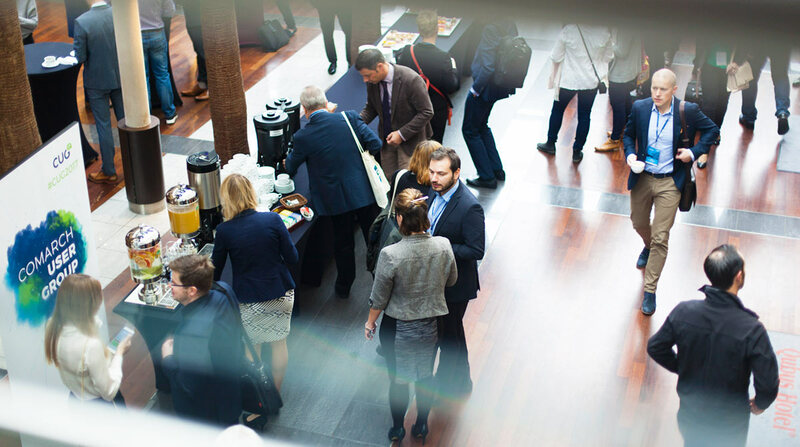 And, because our CUG guests are rather like far-flung yet much-loved relatives, we took care to ensure that this year’s event provided pleasure as well as business. They were treated to meals at the Wierzynek, Tradycja and Grande Grill restaurants, and a trip to Kraków Moto Park. 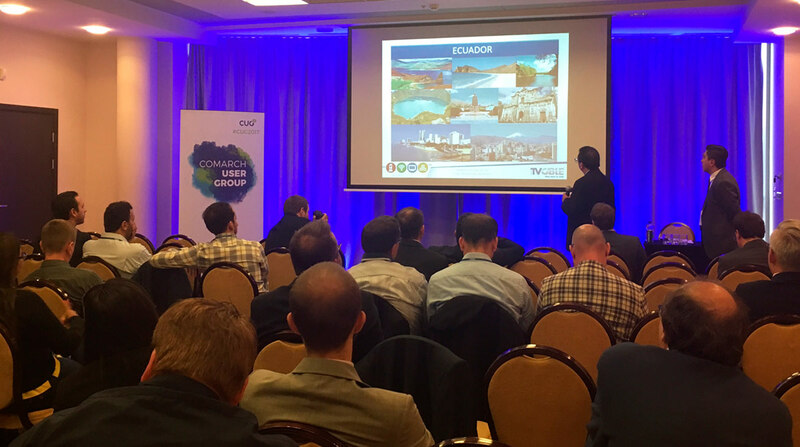 In all, more than 350 delegates from 150 global companies attended this year’s CUG. We look forward to meeting them all again in 2018!